Au bout d'une des carrières les plus longues et les plus fructueuses de l'histoire du jazz, Lionel Hampton demeure le roi du vibraphone : dans les domaines conjugués de l'intensité rythmique, du son et de l'invention, personne ne l'a approché. En témoigne en particulier son solo ébouriffant de plus de cinq minutes sur Stardust, enregistré en 1947 avec une bande de joyeux drilles, un document rafraîchissant comme l'eau de source et, décidément, inaltérable. 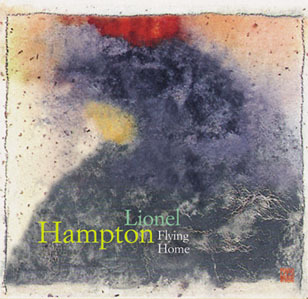 1.Flying Home03:17 (Hampton Lionel Goodman Benny) Lionel Hampton and His Orchestra: Lionel Hampton (vib, dir), Ernie Royal, Karl George, Joe Newman (tp), Fred Beckett, Sonny Craven, Harry Sloan (tb), Marshall Royal, Ray Perry (as), Dexter Gordon, Illinois Jacquet (ts), Jack McVea (bar), Milton Buckner (p), Irving Ashby (g), Vernon Alley (b), George Jenkins (d)..
2.Loose Wig03:04 (Davenport F. Hampton Lionel) Lionel Hampton and His Orchestra: Lionel Hampton (vib, dir), Cat Anderson, Lammar Wright, Roy McCoy, Joe Morris (tp), Al Hayse, Booty Wood, Fred Beckett (tb), Earl Bostic, Gus Evans (as), Al Sears, Arnett Cobb (ts), Charlie Fowlkes (bar), Milton Buckner (p), Eric Miller (g), Vernon King (b), Fred Radcliffe (d)..
3.Million Dollar Smile03:08 (Hampton Lionel Roberts P.) Lionel Hampton and His Orchestra: Lionel Hampton (vib, dir), Snooky Young, Wendell Culley, Joe Morris, Dave Page, Lammar Wright (tp), Vernon Porter, Fred Beckett, Andrew Penn, Sonny Craven, Allen Durham (tb), George Dorsey, Gus Evans (as), Arnett Cobb, Fred Simons (ts), Charlie Fowlkes (bar), Milton Buckner (p, arr), Billy Mackel (g), Charles Harris, Ted Sinclair (b), Fred Radcliffe (d)..
4.Midnight Sun03:19 (Mercer John - Hampton Lionel Burke Joseph) Lionel Hampton and His Orchestra: Lionel Hampton (vib, dir), Wendell Culley, Duke Garrette, Teddy Buckner, Leo Sheppard (tp), James Robinson, Andrew Penn, Jimmy Wormick, Britt Woodman (tb), Jack Kelso (cl, as), Bobby Plater, Ben Kynard (as), Morris Lane, John Sparrow (ts), Charlie Fowlkes (bar), Milton Buckner (p, arr), Billy Mackel (g), Joe Comfort, Charles Mingus (b), Earl Walker (d), Sonny Burke (arr)..
5.Central Avenue Breakdown03:05 (Hampton Lionel) Lionel Hampton and His Orchestra: Lionel Hampton (p, dir), Nat √íKing√ì Cole (p), Oscar Moore (g), Wesley Prince (b), Al Spieldock (d)..
6.Blow Top Blues03:20 (Feather Leonard) Lionel Hampton and His Septet: Lionel Hampton (vib, dir), Wendell Culley (tp), Herbie Fields (cl, as), Arnett Cobb (ts), John Mehegan (p), Billy Mackel (g), Charles Harris (b), George Jones (d), Dinah Washington (voc)..
7.Rockin' In Rhythm05:48 (Ellington Duke - Mills Irving - Carney H.) Lionel Hampton and His Orchestra: Lionel Hampton (vib, d, dir), Joe Morris, Wendell Culley, Dave Page, Jimmy Nottingham, Lammar Wright Jr. (tp), Jimmy Wormick, Booty Wood, Andrew Penn, Al Hayse (tb), Bobby Plater, Ben Kynard (as), Arnett Cobb, Johnny Griffin (ts), Charlie Fowlkes (bar), Milton Buckner (p, arr), Billy Mackel (g), Charles Harris, Ted Sinclair (b), George Jenkins (d)..
8.Stardust15:06 (Carmichael Hoagy Parish Mitchell) The Lionel Hampton All Stars: Lionel Hampton (vib, dir), Charlie Shavers (tp), Willie Smith (as), Corky Corcoran (ts), Tommy Todd (p), Barney Kessel (g), Slam Stewart (b), Lee Young (d)..
9.Air Mail Special06:00 (Goodman Benny - Christian Charlie - Mundy J.) Lionel Hampton and His Orchestra: same as 7..
10.Moonglow03:18 (Hudson Will - Mills Irving - Delange Edgar) Lionel Hampton (vib, dir), Wes Montgomery (g), Roy Johnson (b), Earl Walker (d)..
11.The Hucklebuck03:06 (Gibson A. - Alfred R.) Lionel Hampton and His Orchestra: Lionel Hampton (vib, dir), Ed Mullens, Wendell Culley, Leo Sheppard, Walter Williams, Benny Bailey (tp), Lester Bass, Al Grey, Chippie Outcalt, Jimmy Wormick (tb), Bobby Plater, Johnny Board (as), Gene Morris, John Sparrow, Billy Williams (ts), Ben Kynard (bar), Frances Gaddison (p), Wes Montgomery (g), Roy Johnson (b), Earl Walker (d), Betty Carter (voc)..
12.Muchacho Azul03:06 (Hampton Lionel - Mc Coy) Lionel Hampton and His Orchestra: same as 4, Bill Doggett (arr)..
13.Blue Because Of You02:59 (Carpentier C. Wilson Q. - Dunlap L.) Lionel Hampton and His Orchestra: Lionel Hampton (vib), Nat √íKing√ì Cole (p), Oscar Moore (g), Wesley Prince (b), Al Spieldock (d)..
14.Hamp's Gumbo02:42 (Hampton Lionel Hammer C.) Lionel Hampton and His Orchestra: Lionel Hampton (vib, dir), Walter Williams, Benny Bailey. Ed Mullens, Duke Garrette, Leo Sheppard (tp), Al Grey, Benny Powell, Jimmy Wormick, Paul Lee Higaki (tb), Bobby Plater (as, arr), Jerome Richardson (as), Curtis Lowe, Johnny Board, Billy Williams (ts), Lonnie Shaw (bar), Doug Duke (p), Wes Montgomery (g), Roy Johnson (b), Ellis Bartee (d), Sonny Parker (voc)..
15.Sad Feeling02:47 (Hampton Lionel) Lionel Hampton and His Orchestra: same as 14, Jack Kelso (arr)..
16.Beulah's Boogie03:06 (Hampton Lionel) Lionel Hampton and His Orchestra: Lionel Hampton (p, dir), Wendell Culley, Joe Morris, Al Killian, Lammar Wright Jr., Dave Page (tp), Abdul Hamid, John Morris, Al Hayse, Andrew Penn (tb), Gus Evans, Herbie Fields (as), Arnett Cobb, Jay Peters (ts), Charlie Fowlkes (bar), Dardanelle Breckenbridge (p, arr), Billy Mackel (g), Charles Harris, Ted Sinclair (b), George Jones (d)..